On September 5, 2018, Toronto's newest public art was unveiled in the median on University Avenue on the south side of Queen St. West. The impressive piece, towering above the 1934 Adam Beck Memorial - Sir Adam Beck was the founder of Ontario Hydro and a long-serving politician - was created by internationally-renowned Japanese installation artist Tatzu Nishi as part of his "Life's Little Worries" series. 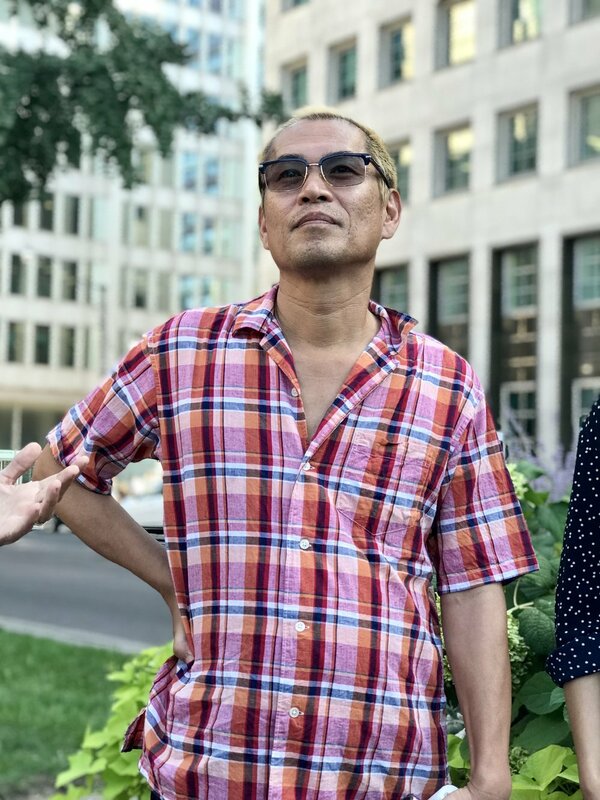 Sponsored by Prefix ICA and Partners in Art, Nishi was brought to Toronto (his first trip to Canada) and was given a 5-day tour of the city's public space to find the perfect location for his piece. He wanted to make a piece that spoke to Toronto and Canada's history, ultimately choosing the Adam Beck Memorial for his site. What he came up with is not only an impressive feat of cross-cultural collaboration (thank you, Google Translate), civic government navigation and engineering magic - a Sudbury-fabricated, weather tested "totem pole" requiring the closure of University Avenue and an 80' crane to install - but it's a lovely ode to Toronto. Torontonians, can you guess all the references in the sculpture? One thing that really surprised Nishi was the size of the University of Toronto and its downtown location. UofT is represented by the books and the desk. When he was at Dundas Square he saw many ads for our television providers. The TV represents Toronto's large broadcasting centre. The boat speaks to, you guessed, Lake Ontario and the importance of water, while the tire and car seats reference Ontario's car manufacturing industry. The safe recognizes Toronto's financial prominence and the photocopier alludes to the density of offices. Did I miss anything? Just kidding - what ode to Toronto would be complete without a hockey helmet and basketballs! The sculpture will be on display (with 24-hour security, so crane climbers take heed) until September 30, as Nuit Blanche winds down in the morning. After that, parts of it may be auctioned off (as they were for Nishi's Discovering Columbus in NYC), and the steel will likely be recycled. So see it while you can!